The Federal Reserve is going to raise interest rates again. Probably sooner than you — or at least the market — think. In a speech in Philadelphia on Monday, Fed Chair Janet Yellen, speaking for the final time before the Fed’s June 15 meeting, said that another interest rate hike from the Fed does not require the central bank meet both parts of its dual mandate first. I continue to believe that it will be appropriate to gradually reduce the degree of monetary policy accommodation, provided that labour market conditions strengthen further and inflation continues to make progress toward our 2 per cent objective. Because monetary policy affects the economy with a lag, steps to withdraw this monetary accommodation ought to be initiated before the FOMC’s goals are fully reached. The Fed’s goals are for full employment and price stability, which it defines as 2% inflation. 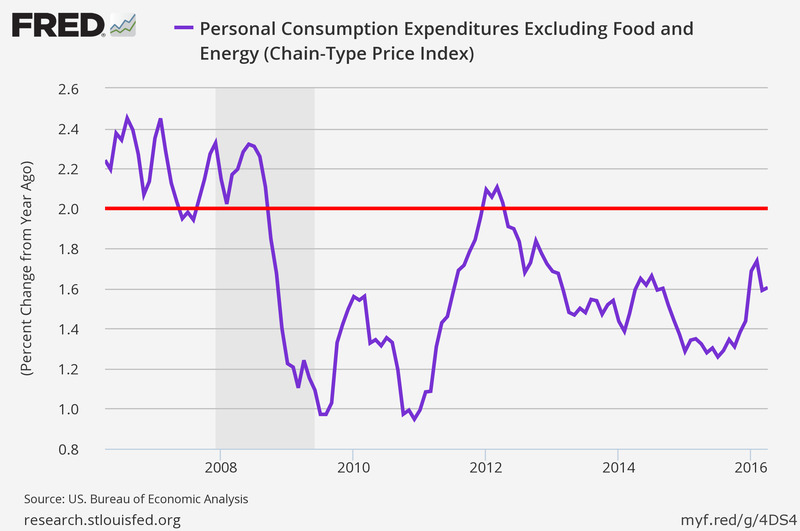 Inflation has run below this target for some time. There’s a case to be made we’re already at full employment or at least very near this point (which you can most easily think of as the unemployment level at which wages and inflation begin to accelerate). Many Fed watchers, however, argue that the Fed ought to remain accomodative until inflation isn’t just at the Fed’s target but in fact overshooting this level, given how widely the Fed has missed this goal for years now. And many of these folks would already argue the first rate hike was a mistake; another move from the Fed seems likely to upset them even further. Right now, market pricing doesn’t give the Fed more than a 50% chance of raising rates until the December 14, 2016 meeting. A rate hike in June is priced at just a 2% chance; July is at just 27.5%. Many economists had been expecting a move as early as June 15, or at least July. These expectations have mostly been pushed to September following Friday’s poor jobs report, though some still argue no action from the Fed will be seen until 2017. But Yellen’s comments on Monday make clear that the Fed is not going to wait for a 100% “all clear” from the economy before continuing to pull rates higher. In her speech, Yellen addresses a common criticism that underwrites many calls for more prudence from the Fed. Namely, that the risks are asymmetric with the Fed right now possessing effectively unlimited ammo to fight inflation that is too high or an economic cycle running too hot, while it currently possesses fairly limited tools to fight a downturn. Although the economy is now fairly close to the FOMC’s goal of maximum employment, I view our modestly accommodative stance of policy as appropriate for several reasons. First, with inflation continuing to run below our objective, a mild undershooting of the unemployment rate considered to be normal in the longer run could help move inflation back up to 2 per cent more quickly. Second, a stronger job market could also support labour market improvement along other dimensions, including greater labour force participation. A third reason relates to the risks associated with the constraint on conventional monetary policy when the federal funds rate is near zero. If inflation were to move persistently above 2 per cent or the economy were to become notably overheated, the Committee could readily increase the target range for the federal funds rate. 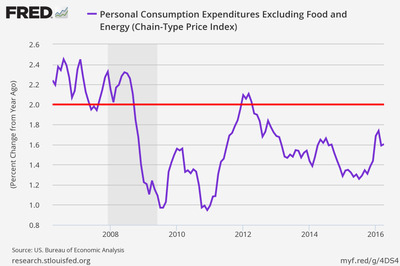 However, if inflation were to remain persistently low or the expansion were to falter, the FOMC would be able to provide only a limited amount of additional stimulus through conventional means. But even these downside risks notwithstanding, Yellen on Monday made a clear effort to keep the Fed’s policy options open. Yellen’s commentary on Monday makes clear, however, that the Fed still stands ready to surprise markets. As long as the data lets them.